Several factors account for this price recovery, none more important than what was happening in China, where the authorities decided to stimulate the economy by investing heavily in infrastructure, especially roads, bridges, and highways. Add in soaring automobile ownership among that country’s urban middle class and the result was a sharp increase in energy demand. According to oil giant BP, between 2008 and 2013, petroleum consumption in China leaped 35 percent, from 8.0 million to 10.8 million barrels per day. And China was just leading the way. Rapidly developing countries like Brazil and India followed suit in a period when output at many existing, conventional oil fields had begun to decline; hence, that rush into those “unconventional” reserves. Add it all up and the numbers were staggering, but demand was no longer keeping pace. The Chinese stimulus package had largely petered out and international demand for that country’s manufactured goods was slowing, thanks to tepid or nonexistent economic growth in the U.S., Europe, and Japan. From an eye-popping annual rate of 10 percent over the previous 30 years, China's growth rate fell into the single digits. Though China’s oil demand is expected to keep rising, it is not projected to grow at anything like the pace of recent years. 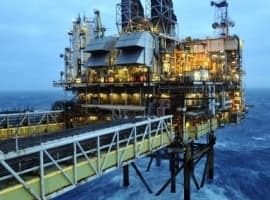 Aside from the continuing economic slowdown in China and the surge of output in North America, the most significant factor in the unpromising oil outlook, which now extends bleakly into 2016 and beyond, is the steadfast Saudi resistance to any proposals to curtail their production or OPEC’s. 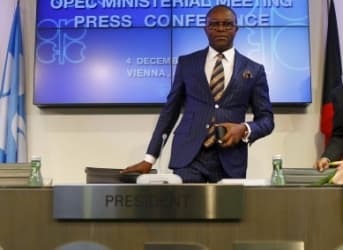 On December 4th, for instance, OPEC members voted yet again to keep quotas at their current levels and, in the process, drove prices down another 5 percent. If anything, the Saudis have actually increased their output. 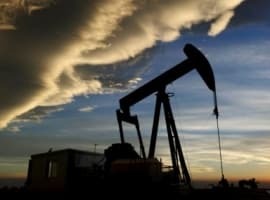 As Rig Count Plunges, Has U.S. Oil Reached Its Capitulation Point? Can republican candidates assume the world heads for green energy? Klare is one of the most profound analysts in the business, putting the whole picture together in ways that few analyst have. So, you see a news story when the price of oil goes way up, and it usually goes into all the doom and gloom effects on the public, the economy, the world markets, etc. How inflation is going to eat up your income, and cause a downturn in the global markets. Then some years later you see another news story when the price goes way down, and it will go into all the doom and gloom effects on the public, the economy, the world markets, etc. How the oil producing states are going to lose billions in revenue, the stock market suffers, the stock holders suffers, and on and on. I would like to agree with this article but sadly I cannot. Much of what creates Green Technology is in itself harmful to mine, manufacture and produce for a minimal output of energy in a world that is slowly but surely losing its ability to support so many. 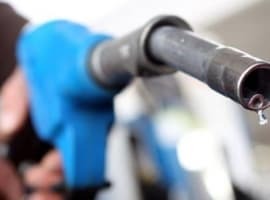 Oil in many ways will never fully disappear as many hope as it's byproducts are too integrated into our day to day living and predicting the oil markets fluctuations is also a risky endeavor as it can rise and fall depending on global events in an instant. Granted I am hopeful that the price of oil will start to rise and stabilize, being I am one of many who once depended on it to make a living. However now is a time to buy into this weakened energy market and make a decent profit when it inevitably rises again. How quickly will it happen? Who's to say. With the conflicts in the middle east it could rise rapidly sooner rather than later, though I'd rather not bank on or promote violence aiding Oil Prices. It would sadly be an aftermath of tensions rising to armed conflict within the OPEC nations. Ifor one am not letting this fall in energy stocks pass me by because I know for certain oil won't stay low for long and I am going to be there when it comes back around. Great read! I agree that the ultimate goal of the Saudi's and OPEC is to bankrupt U.S. Oil fields and Nat gas. The long-term vision of the U.S. NEEDS to be to stay the course on alternative energy, and natural gas...Free our economy from the Middle-East grip.